If you read this weekend’s New York Times, you may have seen an article about how both big New York ballet companies are actively recruiting more kids of color to their school programs. Long before Misty Copeland grabbed headlines when she became the first African American woman named principal dancer at American Ballet Theater, Seattle’s Pacific Northwest Ballet was scouting for young people like Copeland, potential dancers who might not find ballet on their own. In 1994, PNB started a program called DanceChance. Francia Russell, PNB’s founding co-artistic director, and the force behind DanceChance, says the idea was to go into Seattle elementary schools to identify young kids with the physical aptitude for ballet, then provide these kids with free classes, dancewear and transportation to the Phelps Center, on the Seattle Center campus. Russell laughs at the audacity of the vision. But PNB decided to forge ahead with the program, get it up and running, THEN try to raise funds to support DanceChance. Before that could happen, though, PNB had to convince local schools to buy into the idea. Russell remembers making pitch after pitch. Finally, the principal at Seattle’s Martin Luther King elementary school said yes to the idea. More than two decades later, DanceChance operates pretty much as it did the first year, albeit with a lot more funding in place. Program manager Jennifer McLain and her teachers scouted for talent at 22 elementary schools this fall; they screened every third grader at each school. McLain says they’re testing the kids’ flexibility and their bodies’ ability to move into the ballet positions. Not everyone is born with these innate physical attributes. Ballet also requires coordination, a sense of rhythm, and above all, focus. Current PNB corps de ballet member Angeli Mamon remembers her DanceChance audition, a decade ago at Seattle’s Beacon Hill elementary school. Mamon says if she’d known she was auditioning for a ballet program she would have tried to avoid it. “I was really a tomboy,” she laughs. But she concedes the transition from her home environment to the ballet world was jarring. Her mother, who’s from Mexico, didn’t know much about ballet. Neither did Mamon. And neither do most of the DanceChance kids who walk into PNB’s Phelps Center for the very first time. “The cultural difference is huge,” acknowledges Najja Morris. Her 17-year old daughter, Nazirah Taylor, was picked for DanceChance 9 years ago. She’s now in the top ranks of the PNB school. Morris was thrilled when her daughter was selected for DanceChance, but she had a lot of concerns. And as Nazirah has moved up the ranks, Morris says there were “fewer brown people” her daughter could look up to as role models. Former PNB soloist Kiyon Gaines knows exactly how that feels. He remembers his own days as an aspiring ballet dancer in Baltimore. 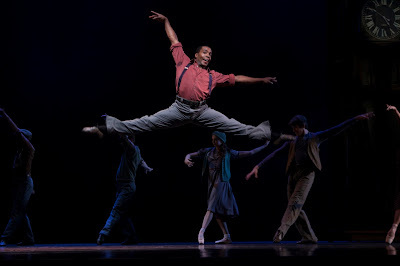 Kiyon Gaines soars in PNB production of Twyla Tharp's "Waiting at the Station"
Gaines, who retired from PNB last spring, is now a DanceChance faculty member. DanceChance manager Jennifer McLain is thrilled to have him. 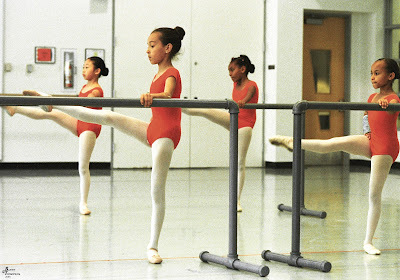 Not every DanceChance kid is destined to become a professional ballet dancer. Program Manager Jennifer McLain is ok with that. You can see former DanceChance student Angeli Mamon with the rest of the PNB dancers this weekend at "Emergence" at McCaw Hall. Nice setup with really a classy look. Some time ago I was looking for such an event too, which will be in my budget and the one that is appreciated by all. During my search I found this Los Angeles event space and got fully satisfied and I am very much impressed by their settings and helping environment.